What can you do in-app? Easily find the info you need by searching the comprehensive in-app FAQ! Open the Menu > tap the ? > FAQs. 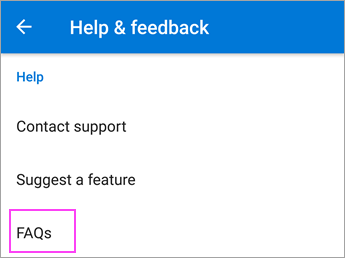 Open the Menu and go to Settings > Help & Feedback > FAQs. 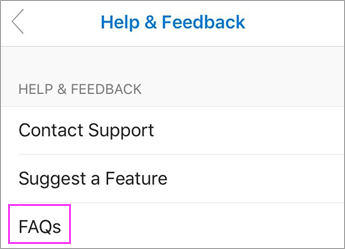 Your best bet for the most expert help with Outlook for iOS or Android is right inside the app! 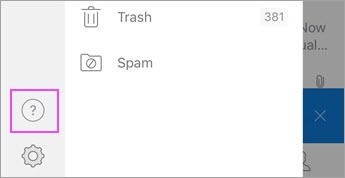 Easily communicate with our support team using the message functionality in Outlook. Note: When you contact our support team, you won't receive an email or get a call back. 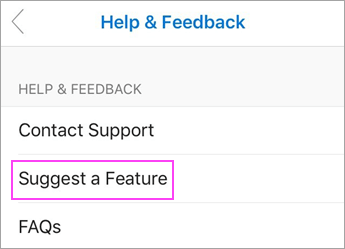 But you'll receive a notification when the support team sends you a reply, and can easily communicate with them in the app. 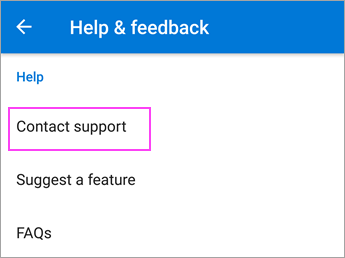 Look for the notification on the Settings and Contact Support icons. Open the Menu > tap the ? > Contact Support. 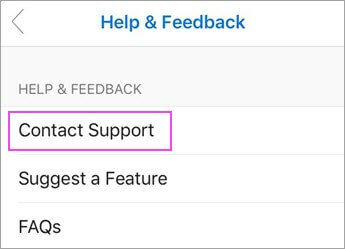 Go to Settings > Help & Feedback > Contact Support. Have a feature request, or want to vote for other people's ideas? We'd love to hear from your so that we can build a better app. Open the Menu > tap the ? > Suggest a Feature. 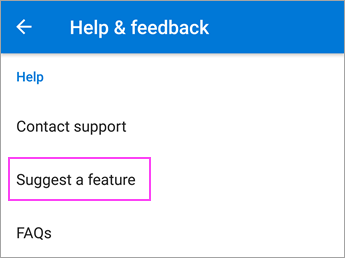 Go to Settings > Help & Feedback > Suggest a Feature.